The Limerick Tunnel under the River Shannon was officially opened this afternoon. 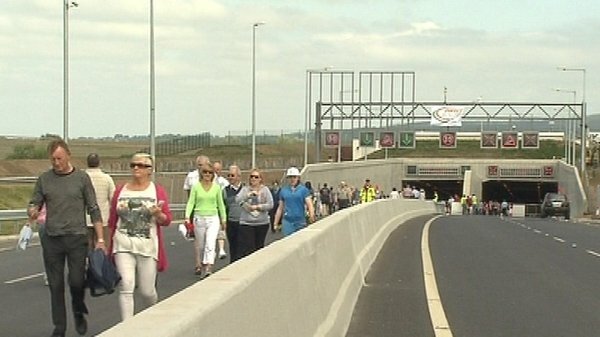 The tolled crossing cost €660m to construct and is designed to take 40,000 vehicles a day from Limerick city centre. Taoiseach Brian Cowen described it as a key part of Ireland's national road infrastructure, which would improve access and support economic growth. The new scheme comprises 10km of dual carriageway, 11 bridges, five underpasses, two toll plazas and its own traffic management system. 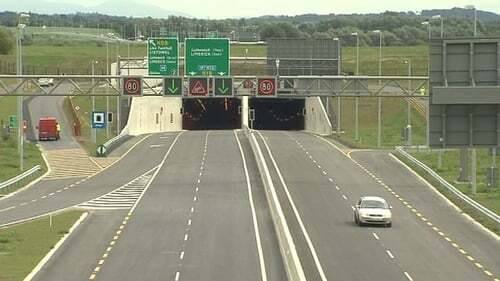 The 675-metre tunnel under the Shannon is described as the most challenging engineering part of the system. The new scheme was opened to traffic at 3.30pm and is tolled at €1.80 per car and up to €5.70 for heavy trucks. Transport Minister Noel Dempsey said it would improve access to Limerick to Shannon Airport, Galway, Cork, Kerry and Dublin. Mr Dempsey added that by the end of the year all our major cities, along with towns between them, will be accessible via a world class road network. Meanwhile, Minister Dempsey insisted there will be a train service between Dublin and Navan by 2016. Yesterday, the Government announced that €39bn would be spent on infrastructure over the next five years, but the overall project has been cut by €1bn for spending this year. Minister Dempsey was adamant that finances were available for the construction of the railway line to Navan. He said construction would begin once planning permission has been granted.